Program and Functional Managers, Quality Leaders and senior Master Black Belts are faced with continuous, competing workloads and assignments which require close monitoring of limited human and other resources. This is true for both finite projects and continuous operations. The latter is a particular problem for managers in that the workload is frequently invisible to their seniors and peers. 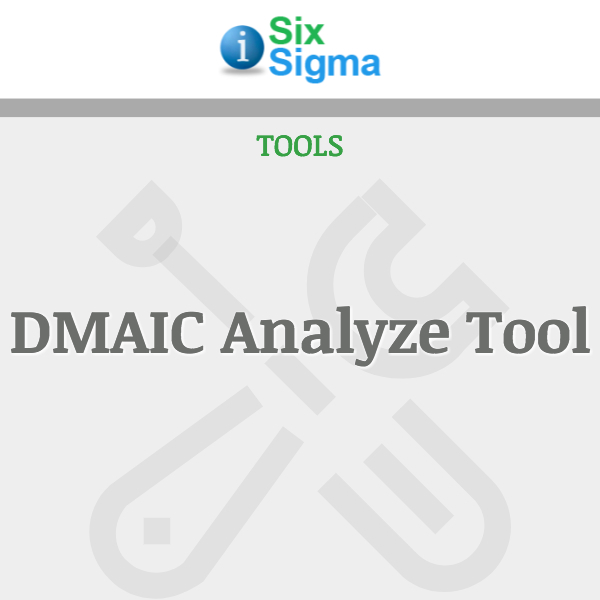 For Quality programs, this might pertain to periodic metrics collection, customer surveys, etc. For purposes of human resource leveling and capacity management, a less precise but reasonably accurate tool is called for. 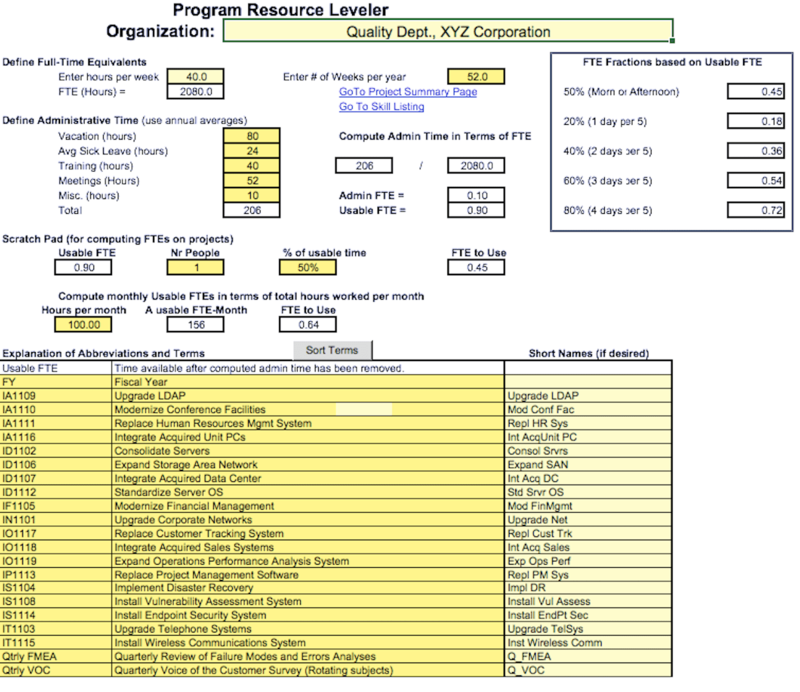 That is the purpose of the Program Resource Leveler. 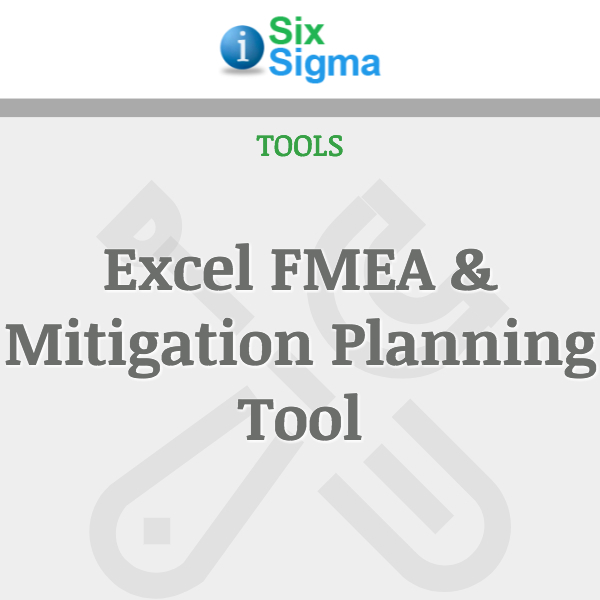 The Program Resource Leveler is available in both Excel 2007 and 97-2003 versions. 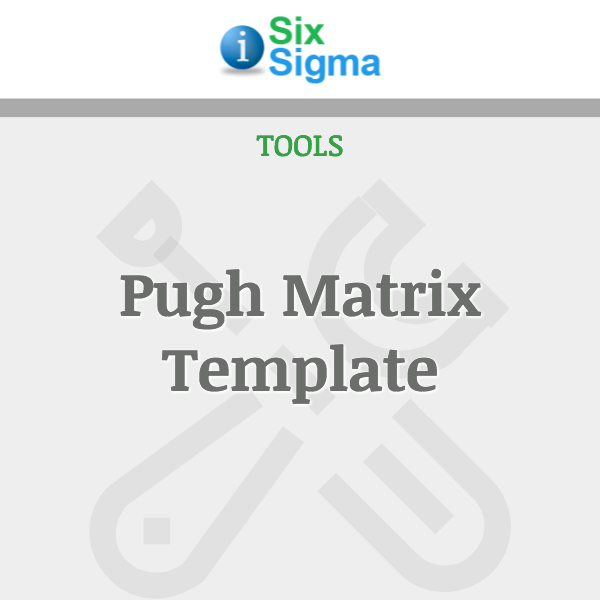 It consists of a Home Worksheet, Skill Listing and Projects Summary worksheet, a completed Sample Worksheet and a number of identical Skillset or Individual worksheets. 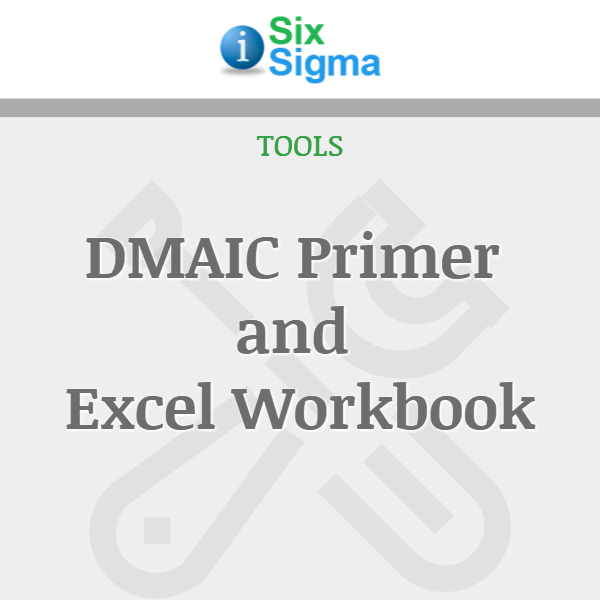 -The Sample Worksheet offers significant help in understanding and using the product by displaying all the macros, along with a complete look at the results. -The summary and individual worksheets are broken into one month periods. The worksheets, or tabs, are named “Home,” “Skill List,” “Projects Summary” and then “Skill1” through “Skill20” for the individual skillset worksheets. This generic naming was used because different organizations deal with very different skillsets and individuals. 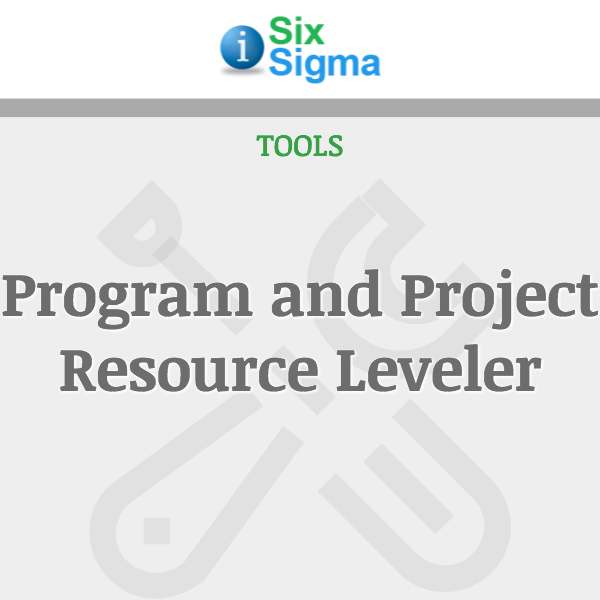 The Program Resource Leveler is a set of easy-to-use worksheets in which managers record projects and ongoing activities, list the skillsets available to them, and documents how the organization organizes and directs work. Then they apply these “basic ingredients” to specific projects and continuous operations and observe the results. Managers use these results to move projects” start dates and/or acquire additional skilled persons to perform the work.